Department Goals are visible to the entire Company by navigating to the "Company" tab found on the top navigation bar and clicking on the "Goals" section. To create a Department-level Goal, you will need to be either a Super Admin or be a department head, which is set by your Super Admin! 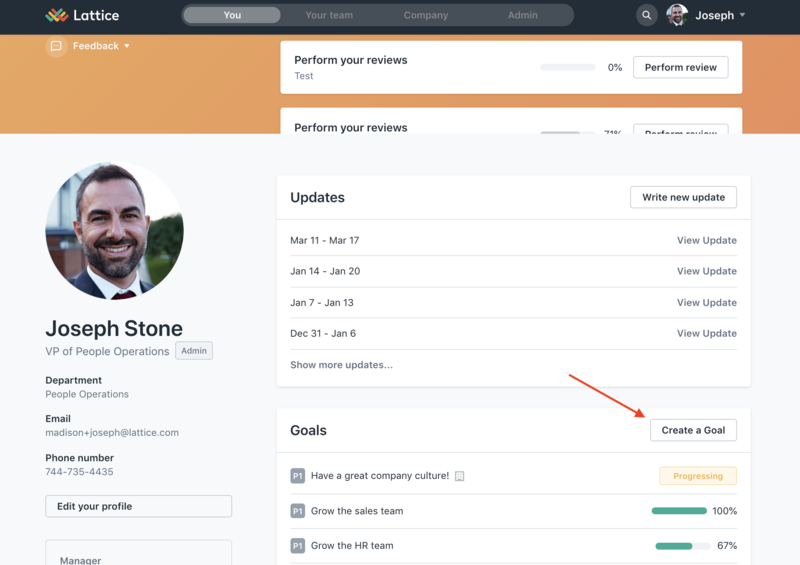 Step 2: Click "Create a Goal"
As a reminder, Company Goals are, by default, public and visible to your entire org!